Pictured: Michael Naselli (left), President and Operator (right), Delta Press, Inc. 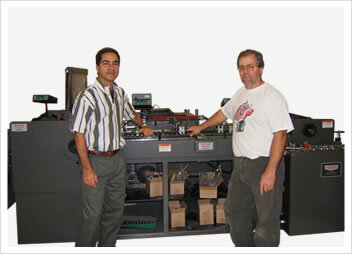 Customer base: Commercial and specialty printers for manufacturing thru design and advertising agencies. – Michael Naselli, President, Delta Press, Inc.